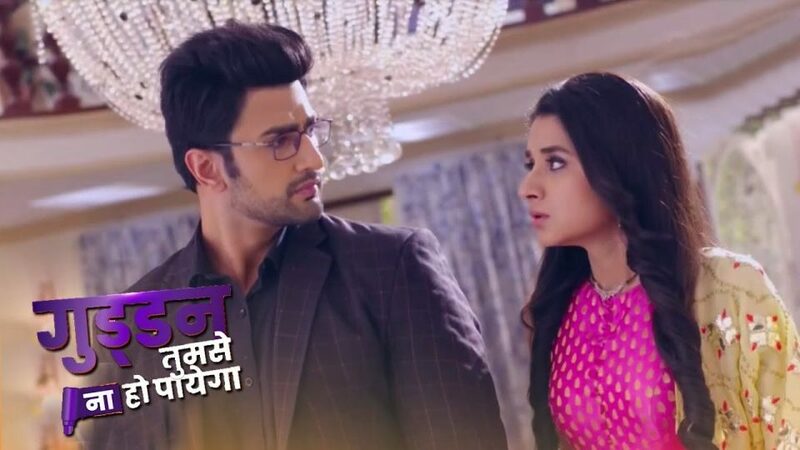 Spoiler: In Zee TV popular show Guddan Tumse Na Ho Payega AJ and Guddan will team up to expose the real culprit. AJ along with Guddan will plan and pretend that he is going through a memory loss. Late at night when Guddan will try to give shock to Angat to take revenge on-behalf of AJ, he will stop her from doing that. He will also let her know that it’s his plan to fake memory loss so that he can catch the real culprit who has planned this big trap of killing him. He will also tell Guddan that Angat alone can’t plan something like this. Guddan will be happy hearing this and the duo will also share tight hug after long time. Meanwhile, Durga will doubt AJ and to find out whether he is really lost his memory or not will serve everyone with a dry fruit. Durga was well-aware that Guddan is allergic to dry fruits thus she will serve her the dish to check whether AJ stops her or not from eating. AJ will try stopping Guddan but before that she herself will say she can’t eat. Later, Rocky tells AJ and Guddan that he knows AJ is pretending about his lost memory. YRKKH :- Kartik will be forced to choose between Keerti and Naira and Kartik will chose..